At American Regenerative Clinic we offer a way for patients to rejuvenate their faces, reduce deep wrinkles and fine lines and bring life back into their skin without the use of chemicals or highly invasive procedures. We provide a natural, safe, effective and minimally invasive alternative to aesthetic treatments such as Botox and surgical facelifts. Thread Lifting is a non-surgical, no scar facelift performed using tiny surgical sutures or threads. Multi-strand threads used are made of material-synthetic absorbable sterile surgical suture composed of Polydioxanone(PDO) and Polycaprolactone(PCL), which performs a role as scaffolds helping cells to be attached well. In American Regenerative Clinic, we are using an Ultra V Face and Body thread lift protocol. It was established by doctor Kwon Han Jin. Dr. Kwon is a president of International Association of Aesthetic and Antiaging Medicine. He has more than 20 years of work experience in Aesthetic Medicine and has trained more than 2,000 physicians globally. Dr. Kwon has worked on more than 10,000 cases of facial lifting treatments using PDO/ PCL threads and combination therapies, and is the true pioneer in this field. 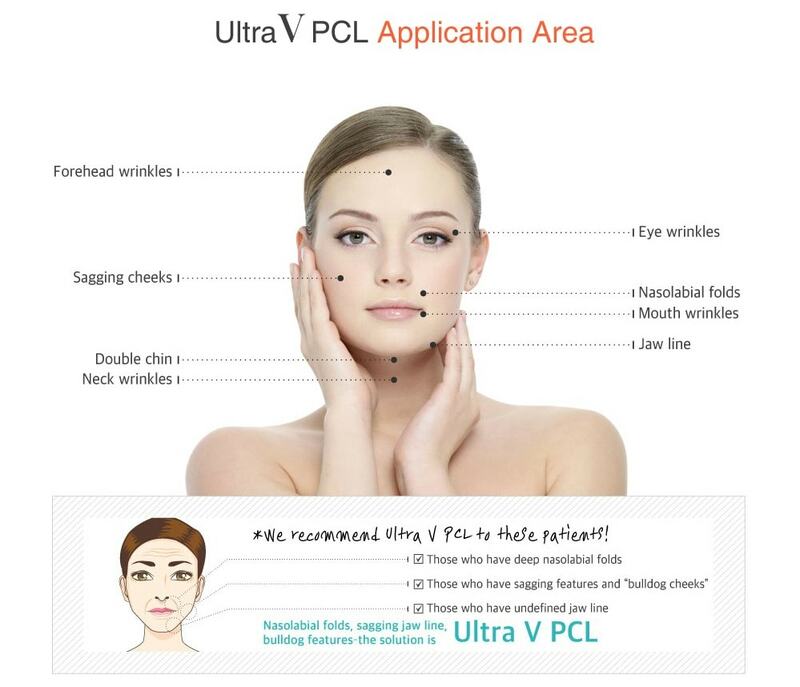 The newest absorbable PCL threads, used in Ultra V Face and Body thread lift, last longer, lift face better and have a continues increasing effect. This procedure is down to its simplicity and the time it takes to carry out. Your body starts to produce new bundles of collagen which surround each thread and this in turn creates a subtle yet effective lift. PRP and Ozone are injected along with the threads to maximize activation of cell culture within the body that increases effects. The combination of threads, PRP and Ozone works much more superior compared to previous thread lifting techniques. The results differ for each person, but look very natural giving a rejuvenated and refreshed look. There is no scaring, and recovery time is much less than after surgery lifting. Who is good candidate for thread lift? A thread lift is more suited to men and women between the ages of 25 and 70. The procedure is most effective on skin that has minimal sagging and offers the best results for cheeks, jowls, brows and the neck area. If you are looking for results that are more effective and long lasting than Botox and other fillers, then a thread lift is the ideal choice. If you are put off by traditional surgery or don’t want general anesthetic then a thread lift is great, as it is minimally invasive and can be carried out under local anesthetic. A thread lift’s lasting power depends on the age of the patient at the time of procedure and how much sagging the thread lift has corrected. It should be noted that sagging will return over time, but many doctors report that the results last up to 3 years. Fillers and Fat Transfer are usually used in combination with Thread Lifting to enhance the results. To extend the results it is possible to have additional threads inserted and doctor can advise you when this is required. PRP Facelift i s used to rejuvenate your skin and provide a younger look through the repair of tissue, and collagen and elastin (two major scaffold skin proteins) formation. Numbing cream get applied over the face. Blood is taken from a vein and spun in a centrifuge, to isolate the platelets and the plasma. Then, using Dermapen, and if needed special cannulas, Platelet-Rich Plasma applied all over the face. Growth factors found in the plasma activate stem cell which are already present in the skin. This leads to the development of new collagen, which in turn, repairs and rejuvenates the skin. For maximum results, we recommend 3 treatments 1-2 months apart, then add maintenance PRP annually. 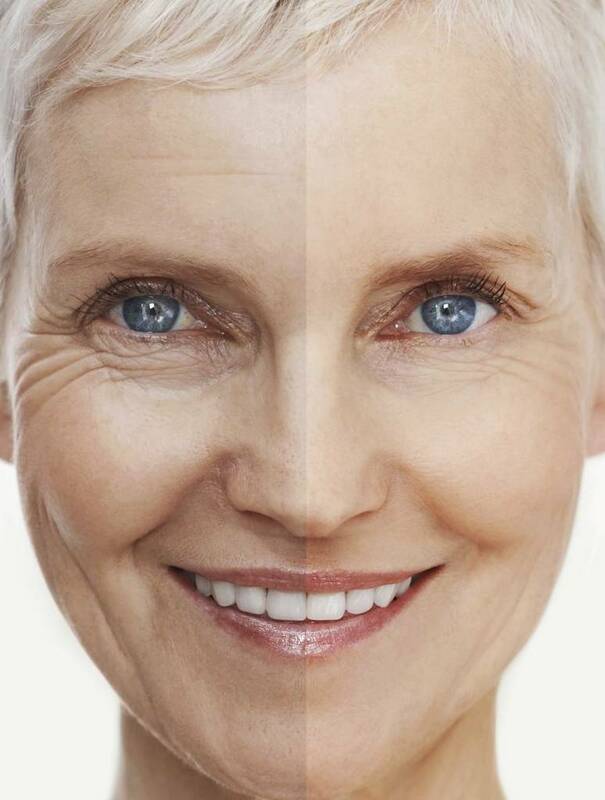 As we age, our skin becomes less effective at producing collagen. Collagen is a major structural protein that gives elasticity and shape to our faces. 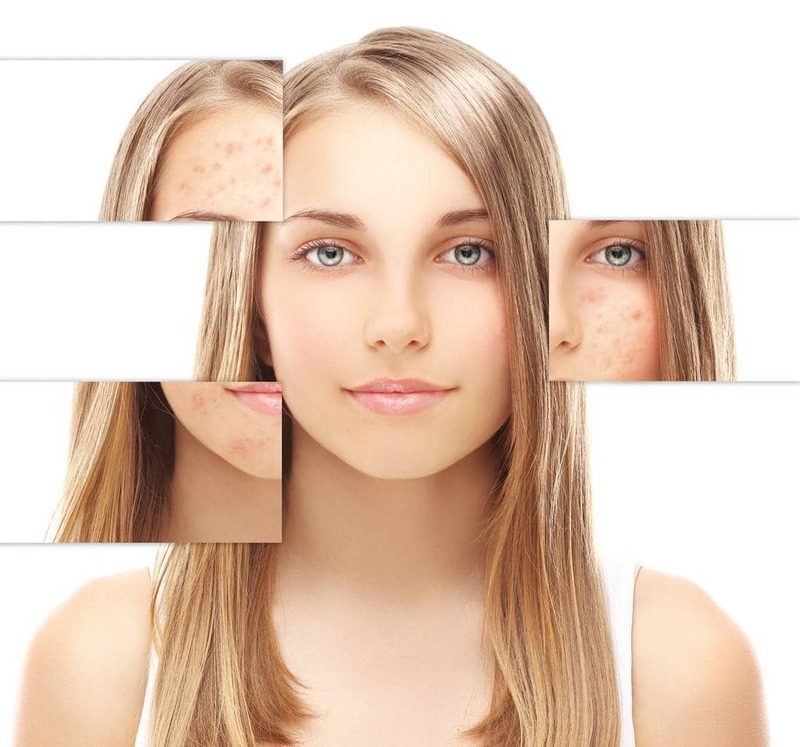 The decrease of collagen and blood vessels in our face along with face bones desorption causes face volume loss, skin drooping, formation of wrinkles, and loss of pigmentation. Fat Transfer is an advanced rejuvenating procedure that is used to address these symptoms of aging. Besides, this is great alternative to avoid damaging and expensive procedure under general anesthesia: surgical facelift. Fat Transfer involves harvesting some of the patient’s own adipose tissue (fat cells) through a quick in-office procedure (mini-liposuction). The fat cells are then injected into the face to increase its volume. Adipose tissue is a biggest body’s storage for Stem Cells, the cells which under certain circumstances can be transformed to any type of cells in the body. So, besides of volume increase, fat injections can lead to new scaffold and vessels formation. To enhance these processes, Platelet-Rich Plasma should be added to fat cells before injections. Also add-on PRP procedures 1 month before and 2 months later is strongly recommended (at discount price) to continue rejuvenation at cruising speed. Even in best cases, transferred fat dies partially over next year. This is why doctors have to repeat the procedure on most clients. To keep fat viable another step could be added: injections of Concentrated Stem Cells. The scientific term for those cells is Stromal Vascular Fraction (SVF) of Mesenchymal Stem Cells. It takes harvesting additional fat and isolating SVF from it. Mixing together fat, PRP and SVF, is the best way to prolong transferred fat life, leading to a fuller, more beautiful, youthful face. Filler injections are used widely in aesthetic medicine, but are usually made of harmful chemicals and potential toxins. In our clinic we provide a safe, effective and all-natural alternative by only making filler gel from the patient’s own blood plasma. Just like regular PRP, this treatment involves taking some of the patient’s blood and separating out the plasma by centrifuge. The plasma can then be processed, through simple heating and cooling, to produce a gel-like substance. This gel, which is made up solely of the patient’s blood, is injected into areas of deep wrinkles and sagging to provide the area with “filler” and give the face a smoother look. Typically, natural gel filler will last approximately 3-6 months, just like conventional, chemical fillers. However, when combined with PRP, the growth factors in PRP help prolong the life of the natural gel filler, which is why we always combine this procedure with Face PRP. It is combined technology of Radiofrequency wave and Filler injections in one platform, which is an innovative minimally invasive technique for facial rejuvenation and cellulite reduction. 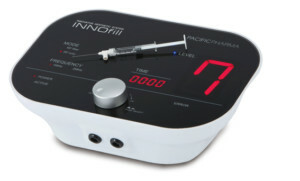 INNOfill is essentially for facial rejuvenation and for the treatment of scars, stretch marks, wrinkles and cellulites, combinedly working by RF thermal energy and hyaluronic acid filler. 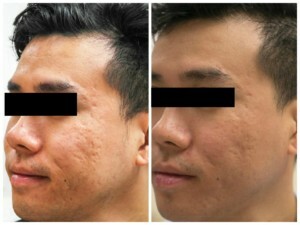 Monopolar RF treatment has been demonstrated to induce a wound healing response with increased collagen expression and dermal remodeling results in gradual improvement over several months and can be long-lasting, while fillers often result in immediate clinical improvements that are usually temporary. Therefore, a filling/lifting/smoothing effect can be obtained, concerning the effects of aging, and a therapeutic effect occurs on acne scars and striae as well as most of facial rejuvenation. Radiofrequency is widely accepted as being the most effective cellulite reduction and skin tightening technology available today, for both face and body. It is far superior to lasers, which do not penetrate anywhere near as deep as radiofrequency does. By applying intensive heat on collagen and fat cells, radiofrequency helps increase skin tightness and reduce fat, thereby improving the contour and texture of body and face. With a deep radiofrequency treatment, skin looseness, and cellulite can be treated at the same time for smoother, slimmer firmer skin with just one treatment. – Lifting by RF energy and Volume-up by filler can be done in one platform. – Long lasting efficacy thanks to RF + Filler technique. – Non-invasive procedure thus the lesser down-time. – A minimal side-effect by using well known accepted filler procedure. – Available customized procedure depends on area to be treated. – Expected lifting efficacy additionally by using RF + Filler mode. 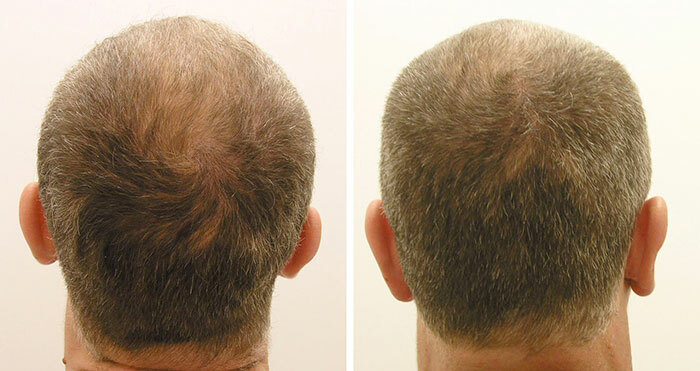 American Regenerative Clinic uses #1 minimally invasive treatment in the world – Platelet Rich Plasma (PRP), to treat Hair Loss. For better results it could be combined with ACell or Stem Cells. • Discontinue Anti-Inflammatory medication (Advil, Motrin, Ibuprofen, Aleve, and Aspirin) at least 3-4 days before your procedure. • Discontinue any blood thinners or any herbs, supplements or vitamins 1-2 weeks before your procedure. • Discontinue corticosteroids 1-2 weeks before your procedure. Steroid Injections (cortisone) should be discontinued at least 1 month before your procedure. • Eat a full, healthy breakfast the day of your procedure. • Drink lots of water, especially the day of your procedure. • Come on the day of the procedure with a clean face, no makeup, cream, lotion or moisturizer. • It is highly recommended that the patient rest the day of the procedure. • Avoid direct sunlight, if you absolutely have to be outside wear sunscreen. • We strongly encourage the use of the healing formula cream. This is to help your face heal properly after your procedure. • A cooling pack can be applied to the area of injection for 15-20 minutes, 3-4 times a day, for the first 48 hours in case of severe swelling. • If antibiotics are prescribed, please take them as directed. They will only be prescribed if they are needed. • DO NOT TAKE anti-inflammatory medications such as; Advil, Motrin, Ibuprofen, Aleve, and Aspirin, for at least 2 weeks after the procedure. • DO NOT TAKE corticosteroids for at least 2 weeks following your procedure. • DO NOT TAKE blood thinners or any herbs, supplements or vitamins 3-4 days after your procedure. • Do not take hot baths or go to saunas during the first days following your procedure. • Avoid showering for 24 hours following your procedure. • Do not consume alcoholic beverages for the first 7 days following your procedure. • Avoid smoking. Smoking delays healing and can increase the risk of complications. • Drink at least 64 ounces of water daily to help your heal properly. Water does not mean tea, coffee, soda or juice. • If prescribed antibiotics please continue to take them as directed. They will only be prescribed if they are needed. • Continue to use the healing formula cream. This is to help your face heal properly after your procedure. • Continue to avoid alcohol for at least 7 days after your procedure. • DO NOT TAKE anti-inflammatory medications such as; Advil, Motrin, Ibuprofen, Aleve, and Aspirin, for at least 2 weeks after your procedure. • If you had a Face Fat Transfer done or PRP with Autologous Gel Filler, you must schedule your follow up for 7 days (1 week) after your procedure. During the follow up the doctor will assess your healing and determine the next best course of action. 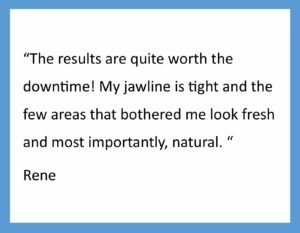 • If you had pure Face PRP done you must schedule your follow up for 14 days (2 weeks) after your procedure. During the follow up the doctor will assess your healing and determine the next best course of action. For those who did pure Face PRP or PRP with Autologous Gel Filler, your second procedure will be scheduled for 2-3 months after the first procedure and your third will be scheduled for 2-3 months after your second procedure. Lipodissolve Injections (sometimes called Mesotherapy) are injection of homeopathic medications, vitamins, plant extracts directly under the skin. Injections work by breaking up fat in cells that is then excreted through the body via the lymphatic system. 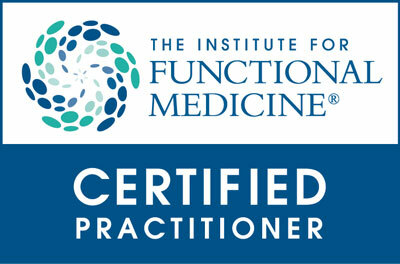 At American Regenerative Clinic we inject only natural, safe and FDA approved solutions. Lipodissolve Injection is a minimally invasive procedure that is a great alternative to surgical liposuction. In fact, liposuction is proven to be ineffective at eliminating cellulite and it can often make cellulite more prominent. Liposuction works by removing fat cells, while injections remove the fat from the fat cell; making it a very safe and effective alternative. Clients experience no downtime, minimal bruising and pain, and are able to maintain their cellulite and fat loss with proper nutrition and exercise. Liposuction on the other hand is a surgical procedure, requiring two or more weeks of down time, significant bruising and pain, weight gain in abnormal places post procedure and many possible complications ranging from serious infection to possible death. Lipodissolve Injections can be used successfully on many trouble areas of the body including; love handles, stomach, saddle bags, bra bulge, inner thigh, buttocks, abdomen, double chin, face, neck, back, and waist. We understand that even with proper diet and exercise some areas of the body are just too stubborn. Whether you need to reduce cellulite for bikini season, tighten the abdomen post-baby, or just need a little chin reduction, Lipodissolve Injections is a safe, effective and minimally invasive treatment for unwanted fat deposits. If you have any questions about our medical aesthetic services, at any time after your procedure, you are welcome to call our office at 248-876-4242.